I have been using PowerShell in penetration tests for some time now. It is a really powerful shell and scripting language which gives you access to interesting things on a Windows machine. There are many PowerShell scripts involved in Kautilya. 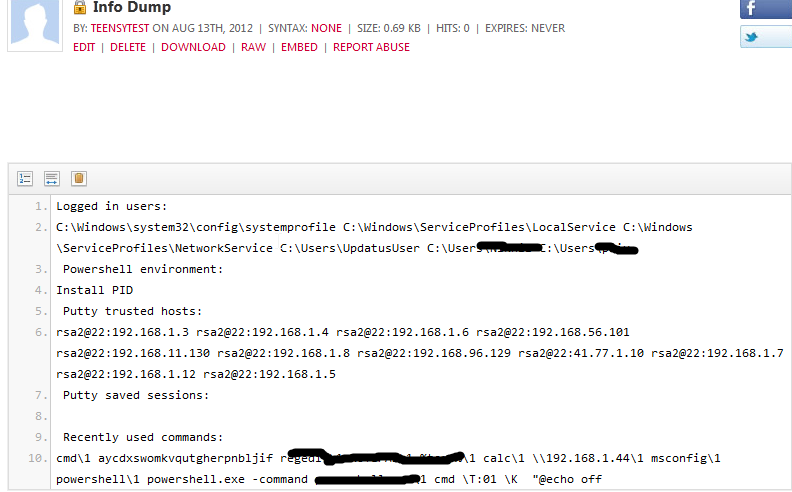 In fact, these PowerShell scripts are the reason behind power of Windows payloads in Kautilya. Nishang means quiver (container for arrows) in Sanskrit. Apt for a collection of payloads and scripts. It is a collection of scripts and post exploitation framework in PowerShell. The aim is to increase the usage of PowerShell in offensive security and penetration test. Nishang is a result of my own requirements during real life pen tests. Since it is a post exploitation thingy it is assumed that you have a shell access on the machine or using a HID like Teensy to drop the script on the victim. Why PowerShell? It is easy to learn and powerful (think of Bash in Unix ported to Windows) and is present on every modern Windows macine. If you use PowerShell "properly", most of the times you would need practically nothing for post exploitation other than powershell. for help on executing a script or payload. How to use it? The scripts can be used either if you have access to powershell prompt (when you have vnc or rdp etc) or if you have a windows command shell on the target. You must download the script on the target machine. Below screenshots shows a quick example of the Information_Gather payload being downloaded and executed on a target machine. Execute the script. Note the parameters being passed ot the script. That was easy. All the scripts could be executed this way. Yay! A word of caution, it may appear that your session has stuck after you execute the script. But you can eventually make your way out by repeatedly pressing enter. I am unaware of the reason behind this. What's next? More scripts are in the development pipeline. Many of them require privileged shell on the target. 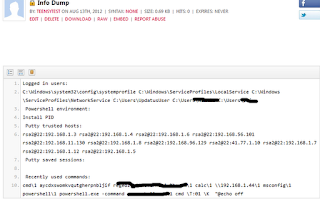 Also, Niklas Goude has allowed me to add his powershell scripts to Nishang. They should be available with next release, thanks Niklas ! Also, the scripts are Tab ugly right now, that would be clean in next release. I am looking forward for feedbacks, contributions and feature requests. I hope this would be useful. Awesome work. I really appreciate. Thanks for sharing. Keep it up. You would be able to use Nishang without any problem. That is just a warning, which is shown because function names in Nishang do not strictly follow the Verb-Noun naming convention. I am aware of this and do not change the names for convinience of old users. Did you already try to do such a thing? Have you already meet this kind of problem. If all goes well, can you give us the exact order to obtain a persistence on a remote system. Thank you and read you soon. 2. If you could not pass semi-colon spearated commands to Cobal Strike, make the function call in the script itself. The persist option will make use of available privileges and would use WMI permanent event consumers or Registry keys according to the available privileges for reboot persistence. Thanks for your response Nikhil, i followed your recommandations. With no success unfortunately. I've send a mail to Raph and waiting for his answer. I really hope also that you could try yourself this way to handle nishang via cobalt strike. (21 days of trial is available). for other of your scripts, everything goes well. thanks for all, and congrats again for your great works. Please drop me a mail on nikhil[dot]uitrgpv[at]gmail[dot]com. So that I could mail you back when I test this. Thanks for trying Nishang. Nice work, i found it very informative. Thanks for updated this post admin. keep it up.. Visit college paper for best papers. Woooww, very amazing blog structure...! How long have you ever been running a blog for? you made blogging glance easy. The entire look of your website is wonderful, let alone the content material! I'm not sure what I would have done if I had not discovered such a thing like this. I am able to at this time relish my future. Thanks for your time very much for the professional and amazing guide. Visit is raeli jewellery for best Jewellery.